You may have read the title of this post and thought: “Everyone knows how to recycle, do I really need to put up signs?” Yes you do! It’s very, very important, and it’s the law!. Most people know, or think they know, the basics of recycling, but when they are standing in front of three or more bins with a variety of waste products they are suddenly afflicted with trash-amnesia (not a real thing), or they’re skeptical that the location even recycles. TAKE THE GUESS WORK OUT OF IT. Recycling can be complicated, so confusion is understandable, but it should be 100% clear that your business does in fact recycle, and signs will make it clear! This assurance will motivate employees and customers to take the extra moment to sort their trash accurately, helping eliminate contamination of the recycling stream. 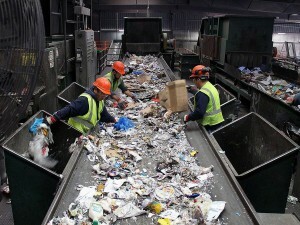 Waste stream contamination is one of the biggest problems in the recycling industry, and this problem can cripple the economics of recycling. Sorting mass amounts of recycling later in the process is time-consuming, costly, and detrimental — getting it right at the source is key, and that’s where you come in. Recycle Across America is a nonprofit devoted to solving this exact problem and their simple solution is, you guessed it, labels! (Another word for signage). We agree. In order to get your employees and customers recycling properly, we cannot stress enough the importance of having accurately colored bins and clear signage. The standard in America is to have two blue bins (one for mixed paper and another for glass, cans and plastic), a green bin for compost, and a black bin for landfill. Color coding your receptacles is the first step, but including clear signage is even more important, and clearly labeled bins are the law in NYC, as of August 1st 2017! Ideally, post multiple signs on each bin so they are visible from the front and the top. Successful signage clearly states the type of waste to be disposed of and provides multiple examples of items that belong in each bin, using pictures. 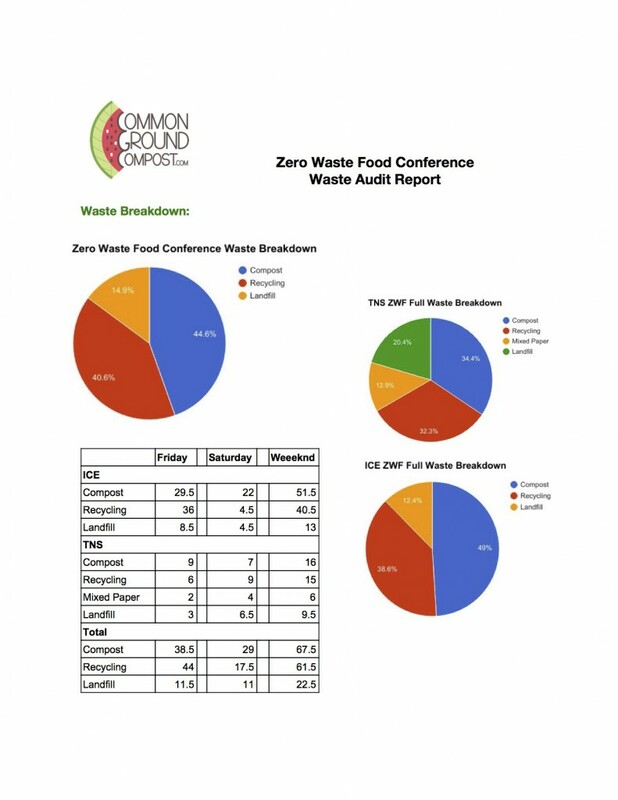 If you work in a food establishment, consider the exact type of waste that your customers and employees will be sorting and address those in your signage. If you only have one sign or label, it’s best to put it on the top of (or on the wall just above) the bin to ensure that folks know what to do when they are standing over it. Always keep your receptacles arranged in the same order too, to avoid confusion. These simple steps can make a real difference in your ability to recycle effectively. We’ve mentioned this before, but employees prefer to work for companies that display a sense of awareness and responsibility for the world. Similarly, customers like to support socially responsible businesses. So be a responsible recycler! For the sake of your business and the sake of our planet. 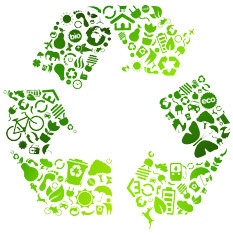 If you want a consultation about responsible recycling in your space, give us a shout! We will gladly perform a waste audit, suggest optimal receptacle placement, provide customized and laminated signage, and train your employees to be recycling experts.